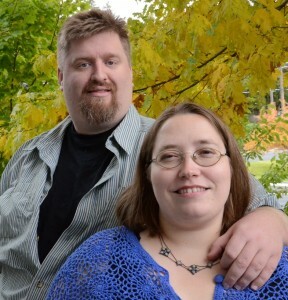 Frog and Esther J ones are a husband and wife fantasy writing team who live in Eastern Washington. We got started on this crazy path back in 2011, and we’ve been working hard at our second full-time job ever since. You can see that we have a novel out from the big ad over to the right. When, we tried promoting that novel, and found that what we really did well was review other novels. That started this project, the Friday Indie Review. We’ll still be posting our own books, of course, and we’ll keep on writing, but we also want to be a gateway for readers to find good, solid indie books. Grace Moore doesn’t think her life can get any more complicated. After all, she’s already an operative for an organization of underground magic-users known as the Grove. Hated by the public and hunted by police because of their magic, Grace knows she’ll be imprisoned or executed if anyone on the outside discovers her real job. With her impulsive nature and zany fashion sense, she has her hands full just keeping under the radar. And that’s before something mysteriously kills all the members at the organization’s Spokane headquarters. Chosen, in her opinion, as an expendable way for her superiors to save face with other Grove branches, Grace sets out to find who or what could kill a group of people even more talented than herself. She’d much rather be home, eating a steaming plate of four star Phad Thai, with a dusty tome of rune descriptions open in front of her. Instead she’s in over her head, and alone on scene of the most public hit against the Grove system in generations. If Grace has any chance of completing her mission and living through this, she must team up with Robert Lorents– a powerfully talented, but untrained and untrusting, foster kid with a genius for trouble. That’s assuming, of course, that she can convince Robert she’s not evil, evade the police investigation, and come up with a plan before she and Robert become the next victims. Where to Find ‘Grace Under Fire’. Coup De Grace, book 2 in the The Gift of Grace series is due to be released later this year. 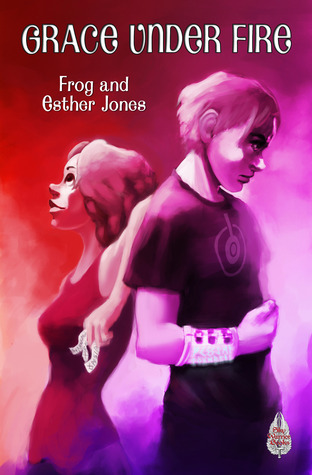 Other stories by Frog and Esther can be found in several anthologies. Coup De Grace, book 2 in the The Gift of Graceseries is due to be released later this year.